Has it really been four years since the first one? No wonder I barely remember it. I do remember being surprised how much I liked it though. The heroic score and spectacular animation of dragons in flight was impressive even when seen through my tiny portable dvd player. And the story-as best as I could remember about a Viking boy named Hiccup who is the only one who believes that dragons can be our friends- was touching stuff and completely changed the way I felt about dragons. In How to Train Your Dragon 2, Hiccup has changed his village for the better. Now everyone has a dragon of their own and even have dragon races. Even though he is solely responsible for all these changes, Hiccup still can’t quite fit in and skips the dragon racing to go exploring with his own pet dragon, unsure of who he is because he never knew his mother. Last time, Hiccup discovered that sometimes, we are afraid of things because we misunderstand them. This time, he will learn an even more grown up lesson- that sometimes we are afraid of things because they are scary. When Hiccup’s dad, the chief, learns the evil Drago is building a dragon army, Hiccup urges everyone to keep calm and let him find Drago and reason with him. “This is what I’m good at”, he says. He will soon learn that “Men who kill without reason cannot be reasoned with” and that Drago really does in fact plan on enslaving all the people and dragons he can get his hands on. What a maniac. Once he has accepted that some men are just bad and need to be fought, Hiccup will finally be able to become his father’s successor as chief, a job that only Hiccup doubts that he was born for. 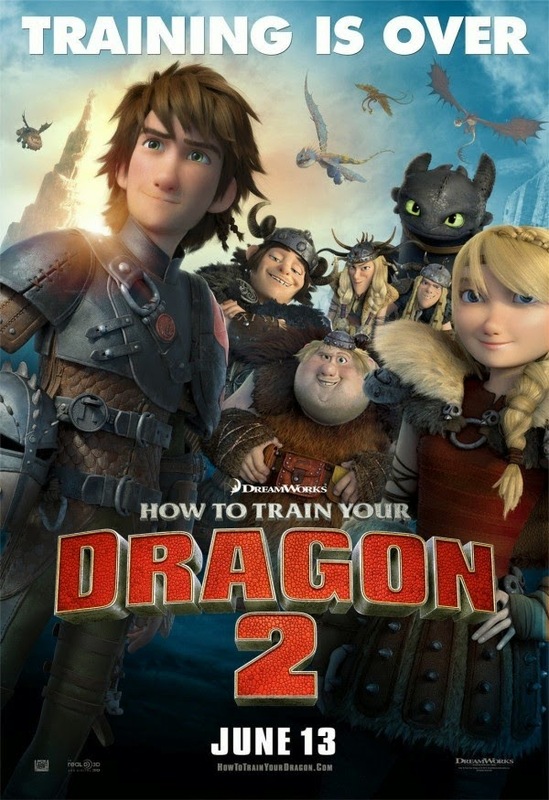 My memory of How to Train Your Dragon is vague but I remember enjoying it more than I did the sequel. The animation is even more impressive this time around with two battle scenes that I absolutely loved but the story doesn’t add anything to the message of the first one. And Kristen Wiig, as talented as she is, should not be doing voice work. This entry was posted in Movie Reviews and tagged animated movies, Jay Baruchel, Kristen Wiig on December 3, 2014 by Jay. I can’t agree with you on this one. Although it doesn’t eclipse the original, because you can never seen these beautiful creatures dive-bombing again for the first time, it felt like a really decent sequel to me. It was bolder, more grown-up, more emotional, and darker. I enjoyed exploring the theme of control\obeisance. And of loss, and how that’s just part of the story. And the animation has visibly improved since the first movie; the dragons and the people were so graceful, and I loved Gerard Butler’s beard! Wiig wasn’t exactly a standout for me, but have you seen (heard) her work in Despicable Me 2? It might make you reconsider.